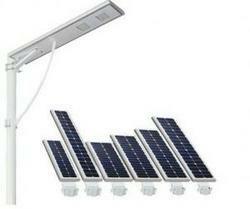 Greenmax Integrated Solar Street Light is an high efficiency light, it has inbuilt high efficiency led with high lumens and provide high efficiency mono crystalline panel and inbuilt lithium battery which can give upto 5yrs warranty and it is perfect for all kind of weather conditions.This compact solar powered street light provides extra lighting easily in no time. Installation is straightforward; only 4 bolts need to be tightened onto a pole . The unit can also be wall mounted. No trenching or connection to the electric grid is needed. 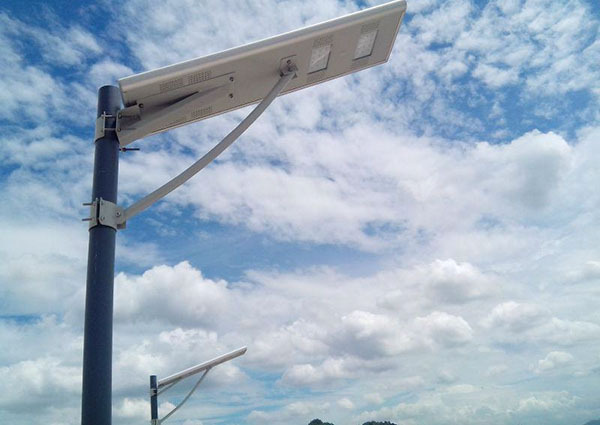 The all-in-one LED solar street light is perfect for retrofitting old electric powered fixture or new installations. · Intelligent sensor for dusk to dawn operation. · Brightness automatically switched 100% to 50% according to battery voltage . · 2days battery backup providing high reliability in monsoon and cloudy weather . 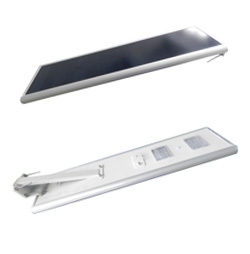 · Innovative design: Integrated “all in one” concept: solar module, battery, LED luminary, charge controller with lighting management program are integrated in one product. · Ideal use: Our 8W, 12W and 16W models are ideal to light all your garden / backyard. 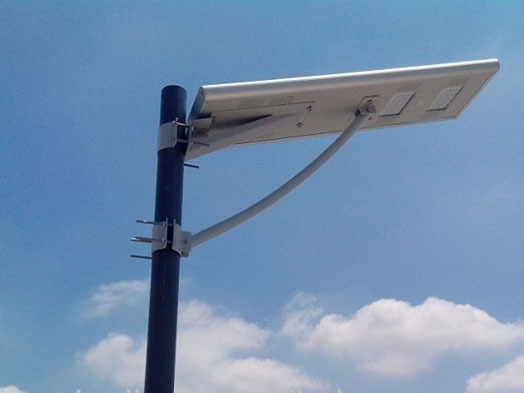 Higher capacity models are powerful to replace existing main road street lights. · No need for wiring, Turns on automatically when it starts to get dark in the evening. · Long working time: 12-24hours. Greenmax integrated range available: 8W/12W/16W/20W/25W﻿/30W﻿ etc.